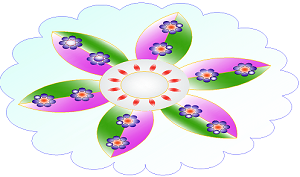 Making Floating Rangoli for Diwali decoration at home can be fun, you can make many types of Rangoli at home, in this article we are going to learn how to make Floating Rangoli at home to make your decorations complete. Rangoli is an essential part of Diwali decorations usually it is made at the entrance of the home to welcome guests. But if you have floating Rangoli than you can place it anywhere such as in your living room centre table, dining table, bedside table etc. You can make Floating Rangoli with the help of some simple material easily available at home or buy from the market. 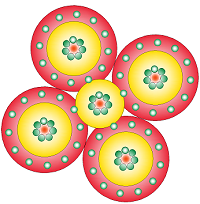 There are many types of Rangoli which you can make such as Floating Rangoli, paper Rangoli, flower Rangoli, Rangoli by using Rangoli colors and so on. Here we learn to make floating Rangoli step by step. 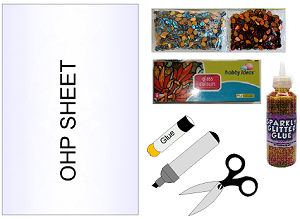 Step-1 to make Floating Rangoli for festive decoration: First take a OHP sheet and draw your floating Rangoli design on it or you can draw my favorite design as shown below. Step-2 to make Floating Rangoli at home: Cut the design and outline it with Golden Glitter glue allow it to dry and fill the inner part of design with glass colors allow it to dry properly. 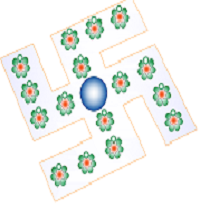 Step-3 to make Floating Rangoli: Decorate your design with kundans. It is good to draw your design with pencil before pasting the crystals so that there will be less chances of mistake. 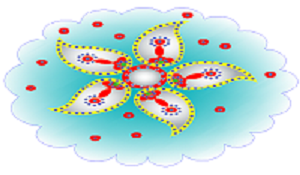 If you not able to find Kundan crystals you can just paint the design, it also looks beautiful. Step-4 to make Floating Rangoli at home: Now it's time to float your Rangoli so why to wait just put it in a glass bowl fill with water swiftly. You can also place floating candle in the centre of floating Rangoli and fresh flowers in a bowl to make it more beautiful. You can also take the help of your elders in cutting or pasting work. We hope you like the idea and try to make one for yourself also to complete your festive decorations. 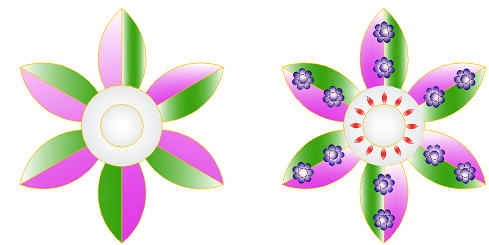 Here are some more Floating Rangoli designs which like for sue.